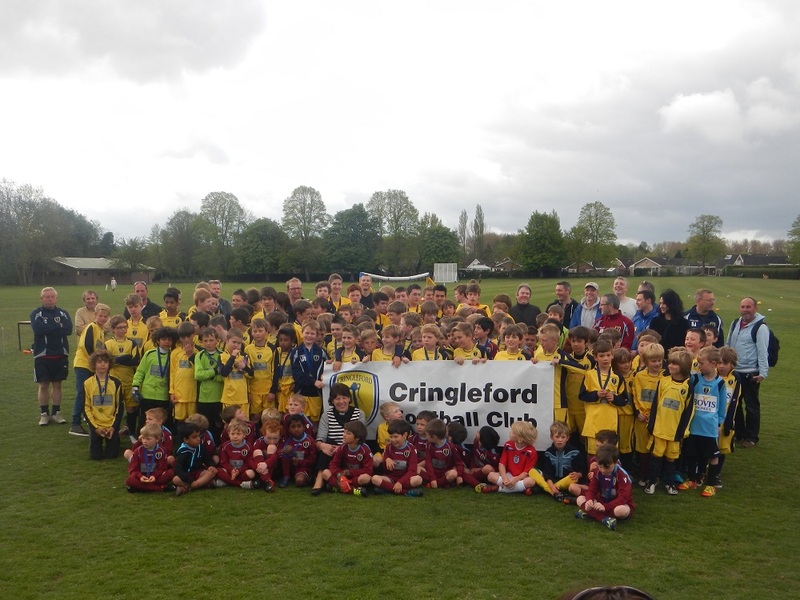 Cringleford Junior Football Club was formed in 2005 by some Dads from around the area who wanted their children to play football, no matter what abilities they had. We are an FA Charter Standard Club and play in a variety of local leagues. We are proud to be sponsored by many local businesses including Barric, Capital Tower, Chilled Driving Tuition, Eco Glass, Inspire Interactive, Integroo Languages, Long John Hill Fish Bar, M2 Law, Reality Estate Agents, Regency Security Group Ltd, Reids of Norwich, Starfish Renewable Heat & Power and WNCU. WANT TO BE A PART OF OUR CLUB? If you would like to get involved in the Club, either as a player in one of our junior squads or as a Coach or Committee member, then we would like to hear from you. Please get in touch with anyone from the Club and they will point you in the right direction.